In the first part of our Early Learning Program blog series, we explored some of parents' most frequently asked questions. 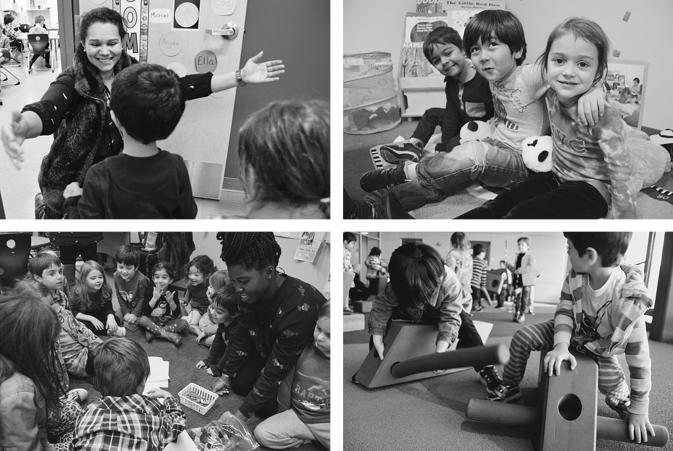 In this second installment of the series, we share photos from our visit to the PreK room as some of our students helped illustrate examples of our Early Learning Program. Many thanks to our obliging helpers! Though we offer a program designed to ensure students reach developmentally appropriate milestones in preparation for Kindergarten, our daily focus on social and emotional development is present in all aspects of our curriculum. We like to start the day off positively by greeting each other and singing welcome songs to help one another feel ready for a great day. We study identity, empathy, and building kindness by sharing about ourselves through discussion, making a collage of items that represent us, our interests, and family, learning about our emotions, expressing ourselves, and listening to others express themselves. We learn what it means to share and help others, whether in the classroom or outside at daily recess. 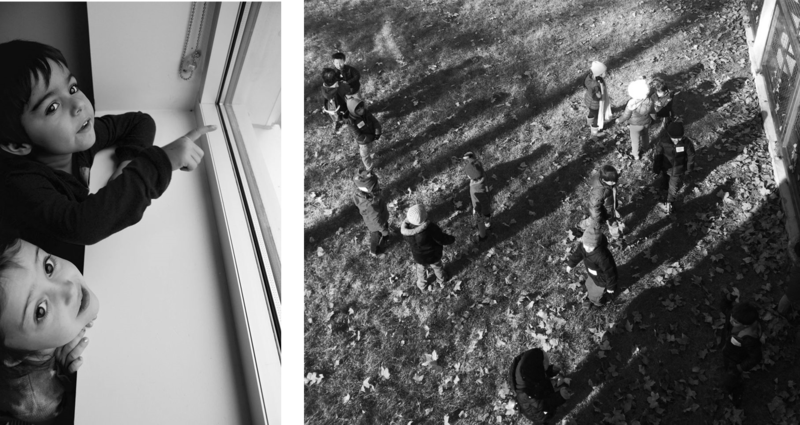 Preschoolers are careful observers of their environment. Students report and discuss the weather daily, calling on our senses to think about changing seasons. 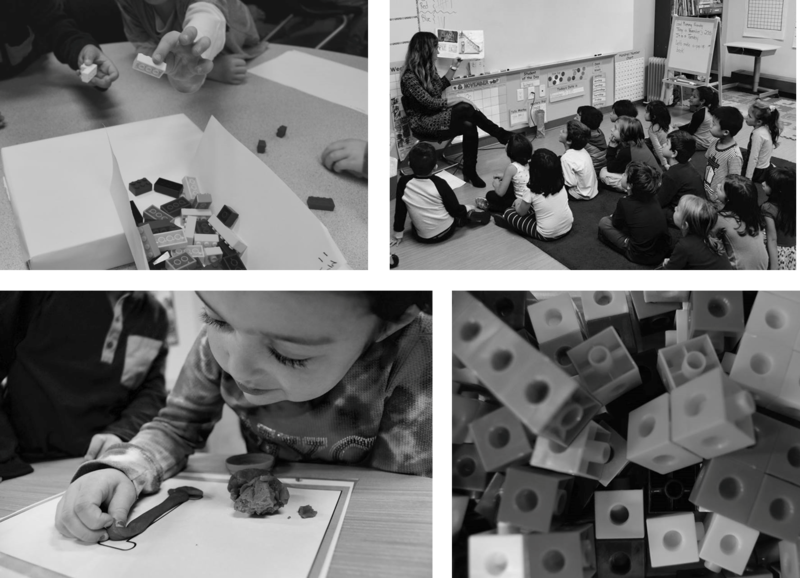 With daily Math Discovery, Language and Literacy, and World Discovery, we are dedicated to helping students reach the milestones they need for successful transition into an accelerated Kindergarten program. Together we become story sleuths, studying story elements such as character and plot, zoologists observing different animals and organisms in their natural habitats, and scientists observing the physics of marbles rolling down a ramp and whether boats made of different materials sink or float at our water table. Typical centers in Language and Literacy include tracing letters in sand, making sight words out of play dough, and word games with teachers and each other. In Math Discovery, we make patterns with geoshapes, count manipulatives, and practice writing and counting. An important part of our Discovery Blocks of Learning is a daily specialist-led class in Mandarin, Music, Drama, Movement, or STEM Discovery which offers preschoolers exposure to new, engaging subject material to further develop literacy, numeracy, language mastery, and understanding of the world around them. In these specialist-led classes, students explore instruments, put on small performances, learn approximately 80-100 Mandarin characters (and speak in full sentences! 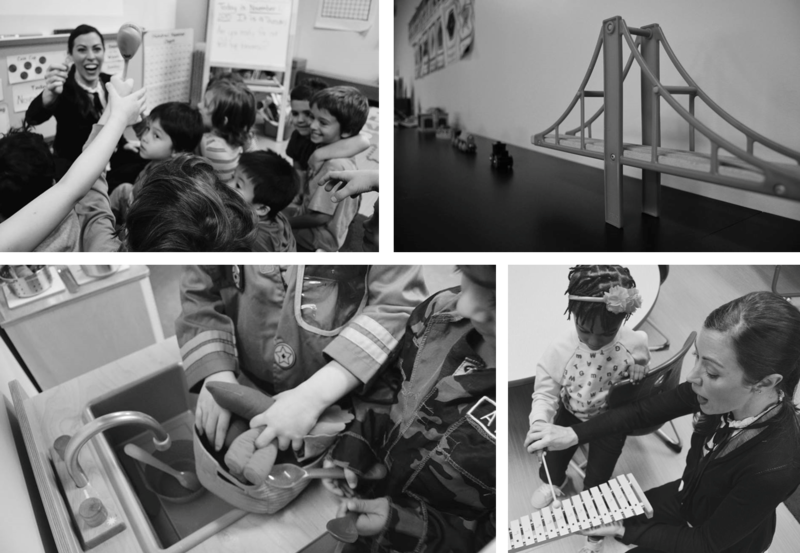 ), build bridges, and much more. And of course, open play, snack/lunch, and outdoor recess blocks are scheduled throughout the day to give our growing minds plenty of space and time to nourish and use their imaginations (and rest them when they need it)! We invite you to explore our Early Learning Developmental Milestones we work towards in Pre-K3 and Pre-K4. Further explore our Discovery Blocks of Learning on our website. Be sure to subscribe to Eureka! Brooklyn blog updates to receive posts in your inbox. Can’t wait to learn more about preschool? Join us at an upcoming informational event or tour. The Regular Admissions deadline is Wednesday, January 20. Be sure to submit your child’s application by then.